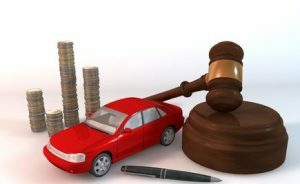 The Benefits of Buying a Vehicle at Auction | Wilson Auction & Realty Co, Ltd.
Have you ever thought about buying a vehicle at an auction? Most people don’t think about this option, but for those who do, they’re often pleasantly surprised at what good deals can be had. Why buy a car or truck at an auction? The number one reason comes down to price: you can get your vehicle at an auction for a great, low price. Most people have found that typical auto auction prices are a fraction of what would be paid to a conventional car dealership. After all, dealers have a lot of overhead and bills to pay, so they jack up their prices. With auctions, it’s a bit more “bare bones,” which means it’s cheaper! Auction organizers want to protect and enhance their reputation. Therefore, they’re going to make sure the vehicles they sell at auctions are reliable. High quality vehicles in very good condition are the ones which typically get auctioned off, and they’re often the best brands people know and love– for a low, low price. Imagine getting a fairly new Toyota or Honda that normally goes for $25,000 but at an auction can be had for $15,000. Low prices are what drive people to auctions. Meanwhile, if you’re looking for a vintage vehicle, auctions are great places to find them. After all, most dealerships don’t stock cars and trucks from the 1940s, 50s or 60s… but auctions often have ‘em, in great condition. For those in the market for a classic Corvette or an old Chevy, why not connect with an auction company and get on their email list to stay informed regarding future auctions? Wilson Auction & Realty of Bryan, Ohio, often has vehicle auctions where you’d be able to find unique as well as typical cars and trucks. Wilson also auctions industrial, agricultural, and commercial machinery. Auctions can be lively, interesting events where everyone’s excited to see who goes home with what… if you’d like to have your vehicle auctioned off, or you’d like to know when and where the next vehicle auction will be, please call the office at 1-866-870-5500. You can also “like” the company’s Facebook page for interesting updates.